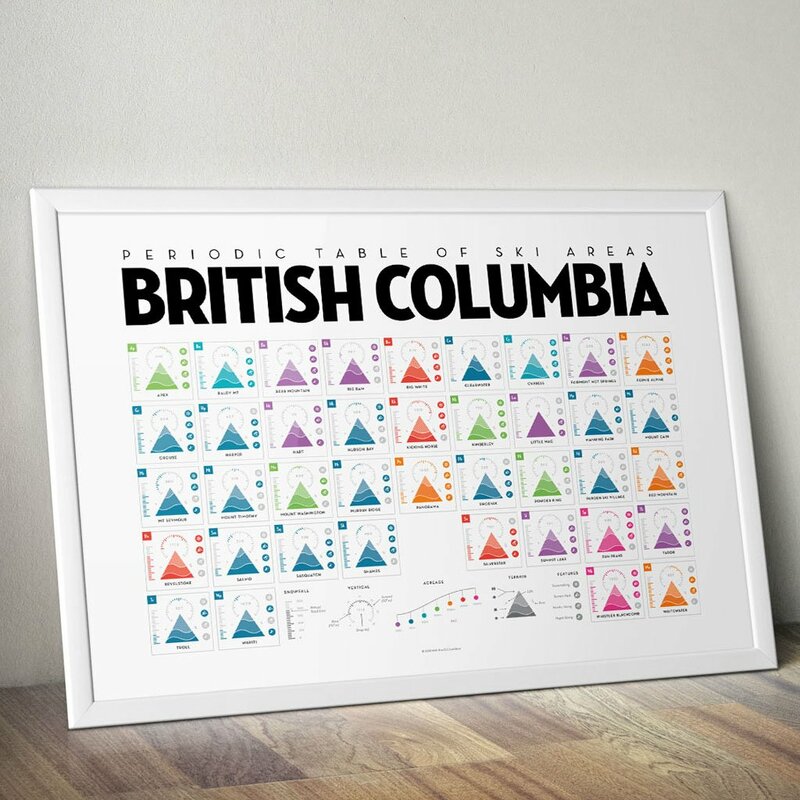 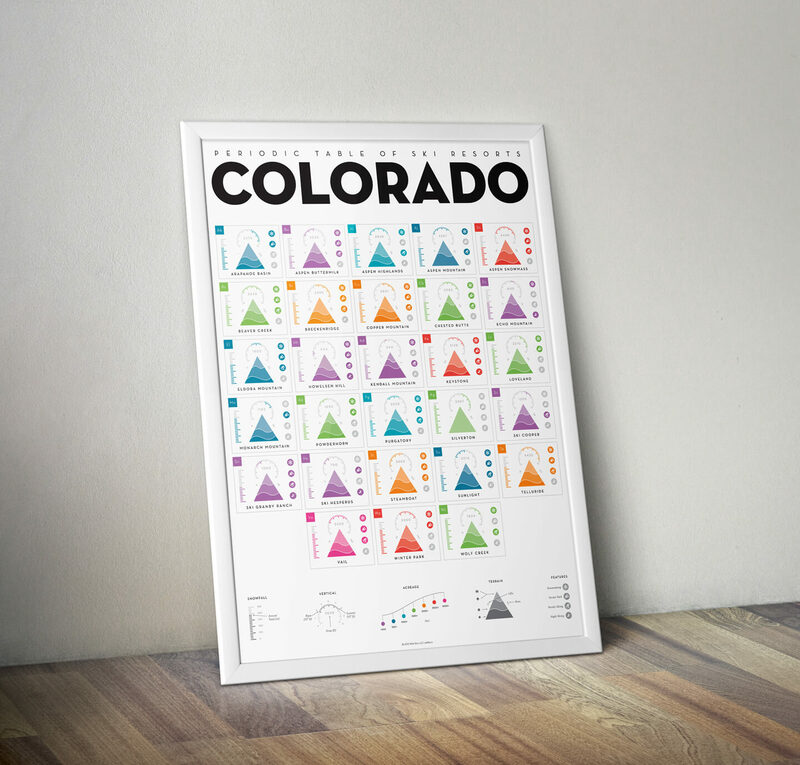 The Periodic Table of Ski Resorts brings a data-oriented approach to different ski regions by packing extensive detail about each resort into a 18″ x 24″ poster. 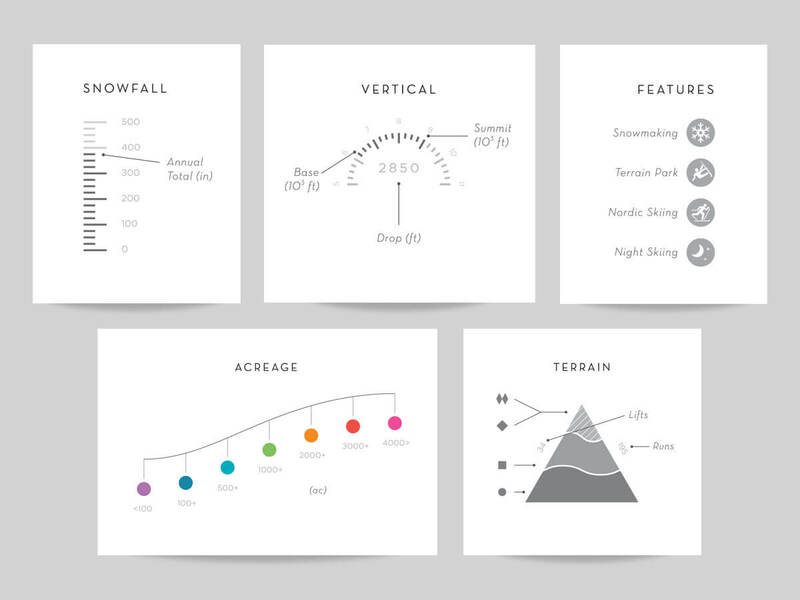 Each individual box contains information on a particular ski resort’s vertical rise, base and summit elevations, average amount of snowfall, trail difficulty, number of runs, number of lifts, and available indicators for night skiing, artificial snowmaking, terrain parks and Nordic (XC) skiing. 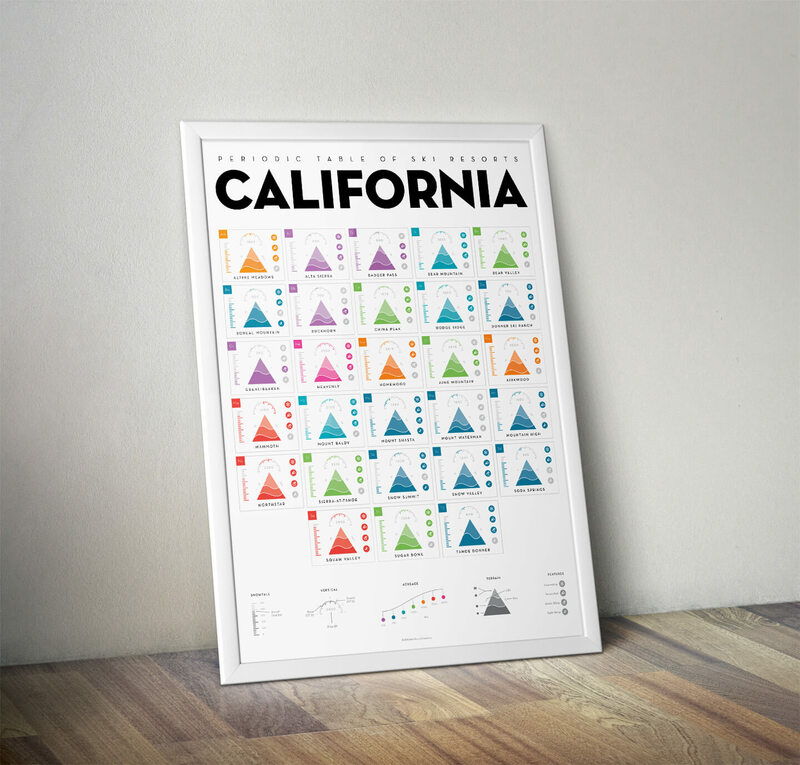 The California print uses data from the 2015-2016 season and features all major and minor resorts in California including: Mammoth Mountain, Squaw Valley, Kirkwood, Donner Ski Ranch, China Peak, Bear Mountain and Sugar Bowl. 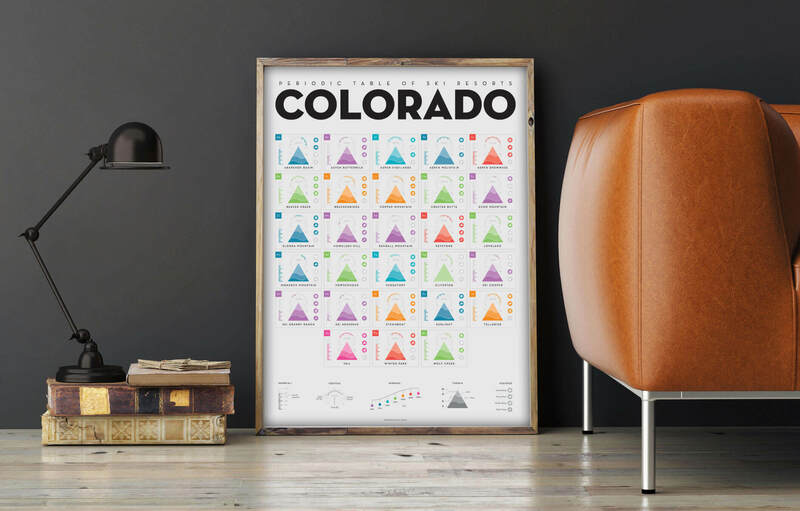 The Colorado print uses data from the 2014-2015 season and features all major and minor resorts in Colorado including: Vail, Beaver Creek, Aspen, Telluride and Arapahoe Basin.